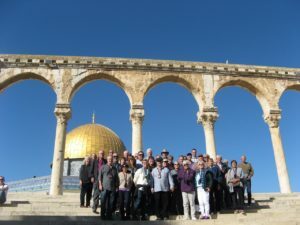 Our life-changing Christian Tour of this Bible Land, literal birthplace of Christianity, will serve up many rare and treasured gifts including the opportunity to learn about the earliest Christians, to visit ancient churches, temples, and cathedrals, and to gather with a great sense of spiritual communion, wonderfully typical of a Christian Group Tour. And as we walk where Jesus walked, we can't help but think of His wondrous stories, like the parable of the Good Samaritan, where one man showed great compassion to another. Jesus told this story in answer to the question, "Who is my neighbor?" and concluded with words for our troubled world: "Go and do likewise."